I finally got the chance to play a couple of hours with the new Babolat Pure Drive and although it’s not usually a racquet I gravitate towards, but it was for sure a fun and inspiring hit. I think most of you know the appeal of the Pure Drive series , which is pretty much something out of Star Wars darkside chant – “Raw, unlimited power.” I would also add “spin” to this version, because I think this is something that has improved for each iteration of the Babolat Pure Drive series. The Pure Drive maintains it’s cool blue colour scheme and goes a little lighter this time. Two of my hitting partners commented on how nice it looked while another friend thought it resembled a plastic toy in both look and feel. I’m personally a little mixed. The design is quite fresh, but when you hold the racquet in your hand it does feel a bit like a kid’s racquet to me. 3/5 – Looks good, but feels a bit cheap. What is new with the 2018 edition of the Babolat Pure Drive? They still have the GT (Tungsten), the FSI string pattern from the previous year’s model, but now they have also introduced something called Cortex Pure Feel, which is supposed to dampen the response and I assume decrease shock from the stiff frame (71 RA strung according to the TW test). What this translated into is a very muted response and I sometimes had difficulties gauging the depth of my shots and ended up increasing my spin to compensate from the lack of feedback the frame gave me on my shots. The new Pure Drive is definitely not a touch-inspiring stick and if you’re into drop shots and manoeuvring the ball around, there are better racquets out there. 2/5 – Too muted to know where the shots are going. Like I wrote above it’s clear that the new Pure Drive is ALL about power. It’s almost ridiculous how easy power you could get with this racquet and as history often tells us – power can be highly addictive! 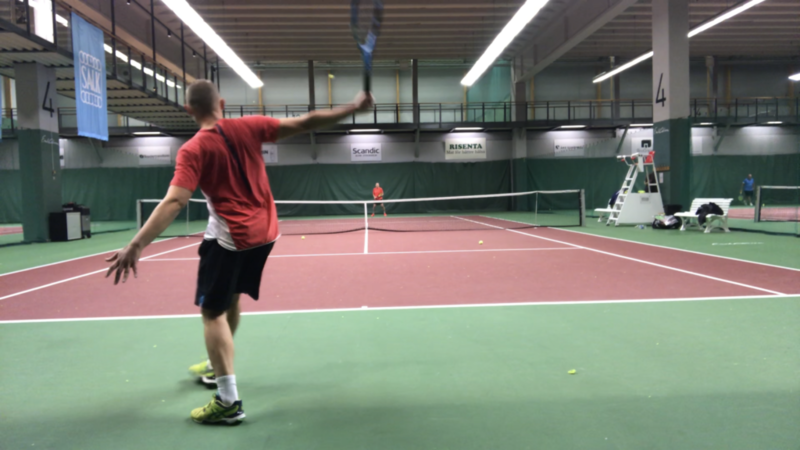 This was definitely the most fun aspect of playing with the Pure Drive – I felt like I could really hit laser blaster forehands left, right and center. I just need to make sure to add plenty of top-spin and the ball would drop in at the end. It surprised me how much fun this was playing with in a non-competitive setting. 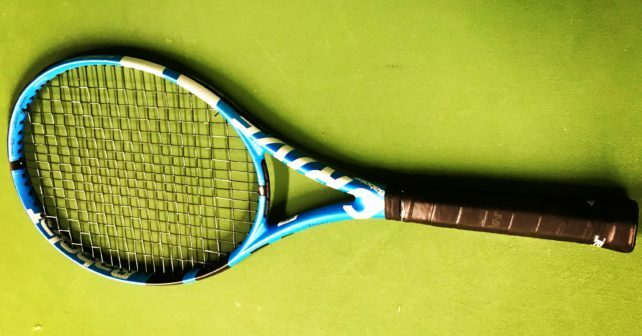 However, if I would bring this racquet into a tournament I would be scared that in pressed situations this would lead me to overhit and lose control as is exactly what has happened when I’ve used powerful racquets in the past. But if you can harness and control the massive power – the Pure Drive might be your best friend. 5/5 – Crazy power. You need to be able to tame it however. The Pure Drive brother, Pure Aero , is usually called the spin machine, much thanks to Rafael Nadal’s buggy whip destruction of his opponents on clay. I don’t think one player and playing style can be more connected to a racquets success than Nadal’s can be to the Pure Aero/Aero Pro Drive. But I digress, back to the Pure Drive where I think one of the most improved factors in the latest iteration is the improved spin potential. 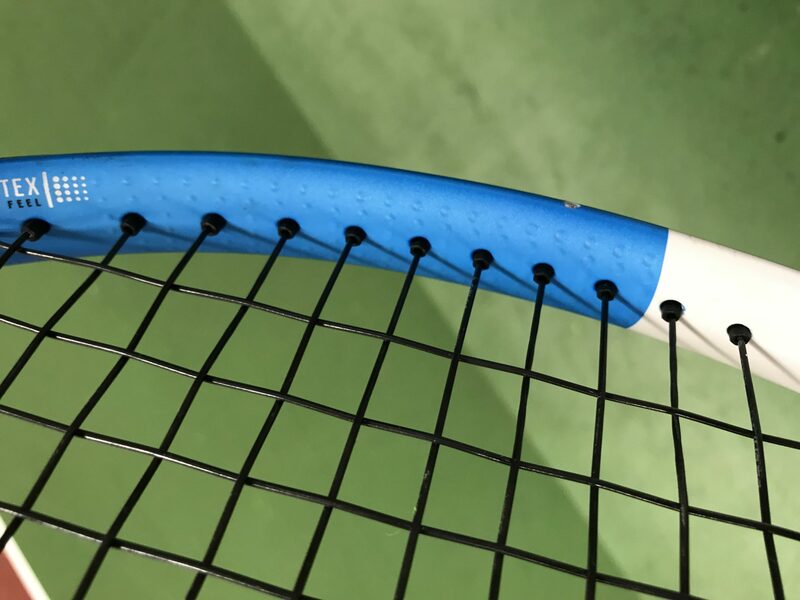 I really felt I could hit any angle with this racquet as long as I played with high racquet head speed and that contributed to me not wanting to put the racquet down at the end of the session. 5/5 – Massive spin to help tame the power. Comfort has always been the trade-off when playing with relatively stiff and broad-beamed Babolat racquets so players with sore wrists and elbows should probably look elsewhere. If you on the other hand have no issues regarding stiffness and want to maximize spin and power, there is few better options than the Pure Drive (the new Tfight Powerstab from Tecnifibre is another interesting option). It’s not the harshest racquet I’ve played with and I wasn’t sore after a couple of hours despite it being strung with RPM Blast, but it’s not a comfortable racquet by any means. 2/5 – Reasonably dampened, but still quite stiff. The Babolat Pure Drive is a legendary racquet series with a massive following and it’s not for nothing – it offers addictive power and spin to anyone who has no history of arm issues. You need to be able to tame that power however and adding a poly string at high tensions won’t help your arm so this is all about racquet head speed and technique. If you like high-powered frames and have plenty of spin on your shots, this could be your next racquet. I had a lot of fun with it at least! Or why not watch my video review? Would you buy a Babolat Pure Drive racquet? What do you think about Babolat racquets in general? Please comment below! I like your comment ” if you’re into drop shots and manoeuvring the ball around, there are better racquets out there”, which sounds like my type of game. I do use the pure drive and find it difficult to change. Which racket would you recommend for a player like me? Good question. I think there are plenty more control-oriented racquets, depending on what you like of course. If you like Babolat, I’d demo the new (white/red) Pure Strike 98, that should give you more control. There are many nice control-oriented racquets from other brands: Wilson Ultra Tour (might feel low-powered to you, but try adding lead tape in the hoop and counterbalancing on the top of the handle until you get it right), Yonex DR 98 (this will play more closely to your Pure Drive but with more feel), Angell K7 Red (which is what I use, but will feel too low-powered to you possibly), Wilson Blade 98 2015 is another good choice, and the recent Prince Phantom Pro 100P is flexible enough to let you place the ball wherever you want! Good luck and let me know what you end up with! I recently began stringing my Pure Drive with Solinco Barb Wire around 55 lbs. and I truly believe it is the racket/string set up for me. Using the racket I beat my former coach who was also a former NCAA D2 #1 singles and doubles player who was ranked in his region. I think it’s a huge improvement from the previous models. So, I love your blog. It’s very well written and has been quite an inspiration for my own blog too. My question about this racquet is that I have been using a Head IG Youtek Radical MP for almost 7 years, and absolutely adore it. My playstyle however has changed from control oriented to very power oriented and feel the racquet lacking in that department. I played with the Pure Aero and liked but like the color of this frame more so ordered this one. How much time do you think will be the adjustment period? Yes, the Pure Drive has some intoxicating power, but it can hurt your arm, especially strung with a stiff poly such as RPM Blast.